Today I finally did something that I have been wanting to do for years…I took a food photography class!! When I bought my camera, I had all the good intentions of reading the manual – but there was that little problem called time. I had no time, and every spare moment I had, I wanted to be snapping pictures, not reading. So, instead of learning the correct way, I just learned by trial and error. Up until today, I really had no idea what I was doing, but my pictures were turning out ok, so I just kept going. Believe me, after one class, I am no means an expert, but at least I know what white balance is!! I am so excited. So back to this class, it was amazing, everything about it. I took the class The Pantry, which I believe was started by Brandi. It is also affiliated with this awesome pizza restaurant which is owned Molly and her husband Brandon. All of a sudden the Seattle food world seems to be getting smaller and smaller… The class was taught by a women named Ashley who takes photographs for Bon Appetit …and I met people like Holli, Stacy and Bray – I felt fortunate to be in the company of these talented women. I am excited to start experimenting with what I learned…but in the meantime, I will post this fabulous recipe that I found in Bon Appetit. These were quite easy and quick to make, for a yeast recipe that is, and they were delicious. The girls both loved them, which was really amazing – since they pretty much stay away from anything green these days. I will definitely be making these again, and next time I will take an even more striking picture…let’s hope anyway! Preheat oven to 350°. Roll dough into a 18×9″ rectangle. Spoon scallion mixture evenly onto center and spread mixture to corners of dough. Working from one short edge, roll dough rectangle into a cylinder. 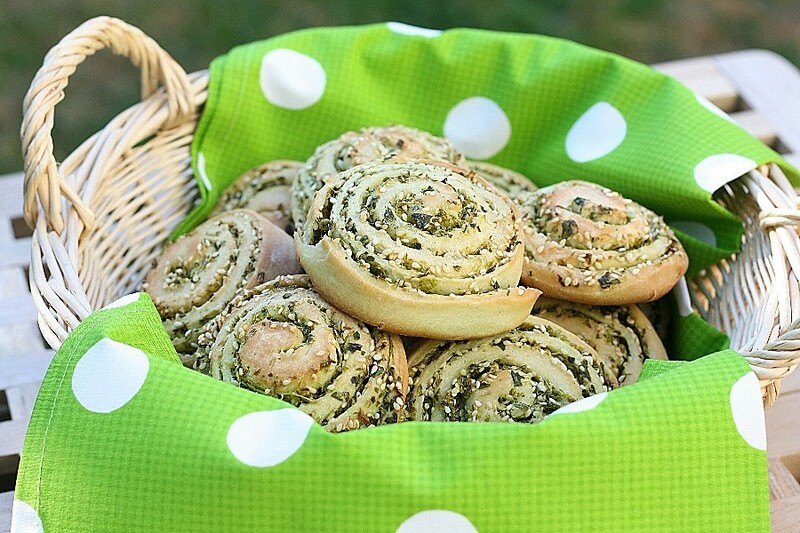 Cut cylinder into 3/4″ dough swirls. Transfer dough swirls to prepared baking sheet; brush with oil. Bake until golden brown, about 30 minutes. Your photos were already so clear and appealing, I’m not sure how the class could improve them! These pinwheels look delicious! Thanks Susan, but there is always room for improvement!! Fabulous photo – These look delicious! I made a scrummy savoury quick bread today and really fancy doing some yeast baking, these look just perfect! So so pretty too :) lovely recipe! Thanks so much!! Your site is great!! This bread looks incredible! I love the cilantro scallions. I am definitely trying this recipe soon. Great shot too! Thanks so much! Your photos are incredible…btw. You have learnt well, your photo is perfect! Love the look of that bread! Thanks very much, although I took this before the class, let’s see where I go from here! You are so nice, thanks very much Kristy!! i don’t know how you could improve your photos, dawn! and i attest that these rolls were to-die-for! Thanks Liz, and we just love that Roger loves his food!! Thanks so much for the mention – and for all these beautiful photos and recipes on your blog!